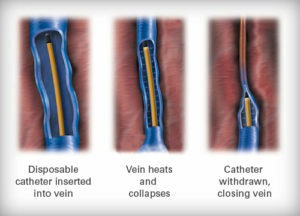 The VNUS Closure procedure (now known as Venefit™), an alternative treatment option to traditional vein stripping surgery, brings state-of-the-art technology to an age-old disease. Learn more about the VNUS Closure procedure that treats varicose veins. Mr Kenneth Woodburn appeared on the BBC News programme Spotlight Southwest, discussing this pioneering varicose veins treatment.